In 1953 Albert Speer, Germany’s Minister of Armaments & War Production during World War II, wrote from his cell in Spandau Prison, West Berlin, regarding the genocide of the American Indian. The Nazis’ study of the treatment and eradication of the American Indian was an element in the plan for the “Final Solution” – the eradication of European Jews and others deemed undesirable or a threat to the Aryan order. Hitler, Heinrich Himmler, Adolf Eichmann, and others who administered the Nazi Holocaust had looked to the Indian Removal Act of 1830 and the subsequent actions of the United States Government as the blueprint for annihilation of a people, a culture, and a way of life. 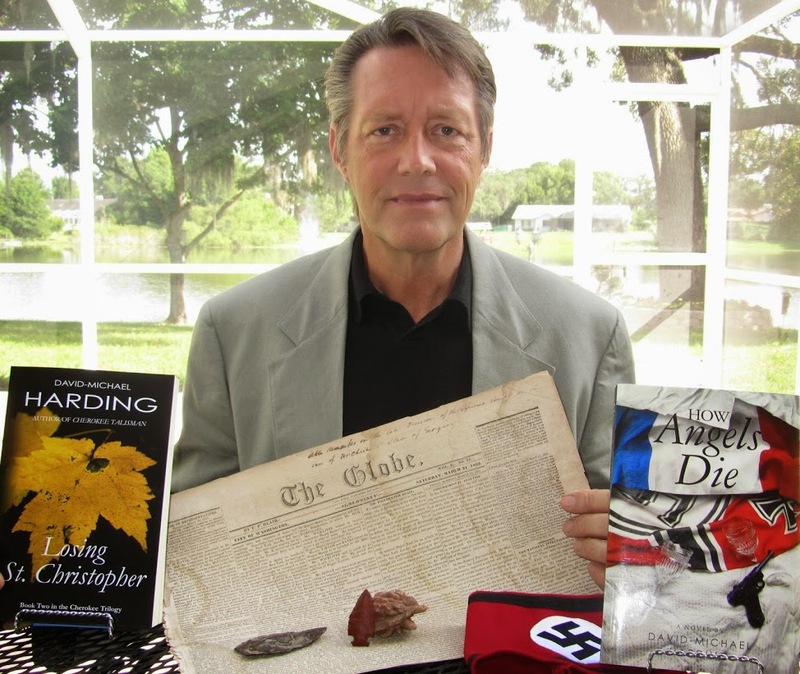 Biography: David-Michael Harding is a lifelong writer whose prior novel, How Angels Die, received critical and commercial acclaim. A former semi-professional football player, his writing is hard hitting and passionate. He holds a Master’s Degree in Education and is an adjunct professor of writing. His respect and admiration of the Native American culture inspired this novel. “Epic” is not a word I use frequently or carelessly. However, after reading Losing St. Christopher, it’s the word that immediately leaps to mind. David-Michael Harding has woven a compassionate and compelling story of the inexcusable and contemptible treatment of the Principal People by the European settlers of North America. Harding has managed to carefully present both sides of the conflict while telling a very well-developed story of the ill-fated attempts of the Cherokee people as they resist the insatiable appetite of the settlers for land and resources. Despite all attempts to assimilate and embrace the “white ways” in an attempt to live peacefully with their new and unwelcome neighbors they are the recipients of lies, broken promises, and constant encroachment. The true and well researched history of the displacement of the Principal People is woven into the fictional story and equal treatment is given to the settlers who resisted the unstoppable offensive. 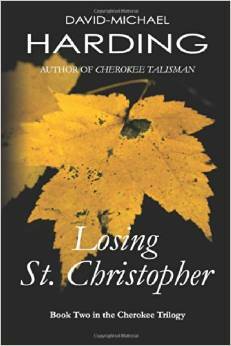 Losing St Christopher, like the first book in the series, Cherokee Talisman is difficult to put down. It’s even more difficult to stop thinking about the shameful history of our nation. I would very much like to see this series on the list of required reading in every school in America. While it is too late to rectify what was done, we should never, ever forget the atrocities of our ancestors. In the interest of full disclosure I should mention that the book was given to me by the author in return for an honest review. Losing St Christopher is available at Amazon and I give it my unreserved recommendation to all readers, both young and old. This entry was posted in Book Reviews and tagged author, book, Fiction, my opinion, reviews, writing. Bookmark the permalink.